Premium 07 line in the highly sought-after Trump Plaza West, and a rare 10 ft high ceiling unit in the building. 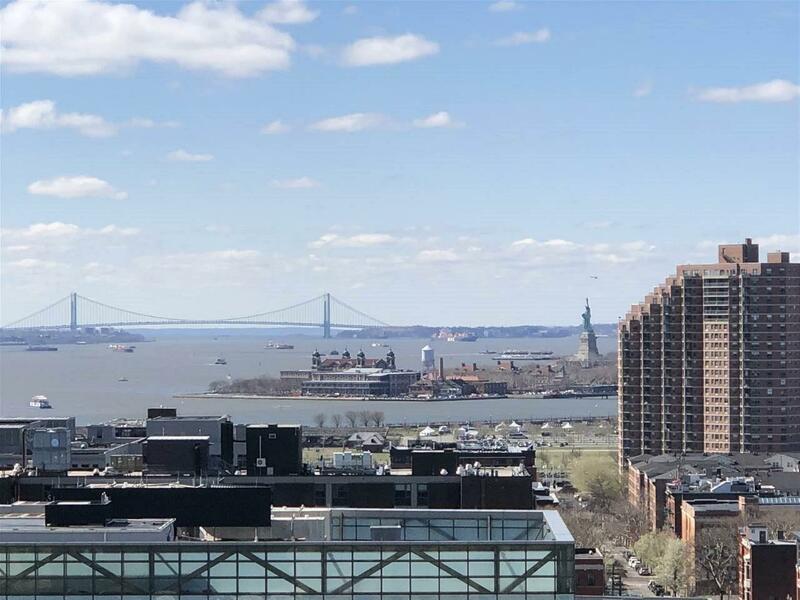 South-and-east exposures and the oversized widows take in abundant of natural light and a stunning view of lower Manhattan, the Hudson River, and the Statue of Liberty. The extremely efficient layout and an oversized walk-in closet make the home a must see. The BEST amenities and the BEST location in JC. Close to EVERYTHING. CVS on premise. Cyclebar and other stores on premise coming soon. Garage parking rental available at $285 or 320/month. Floor plan attached under "Documents." Inclusions All Major Appliances And Window Blind Fixtures; All Amenities: 24 Hr Concierge And Doorman Gym Pool And Sun Deck Indoor Grotto And Steam Room Kid's Room And Play Ground Community And Media Room.